Back with a beauty tutorial, and this week we are bringing you a how-to that keeps bad hair days away. Headwraps with hair pulled back are the best for when your "do" is not doing what you want it to, and fishtails are a favorite for us. Here's how to! 1. Start with hair parted in the center so both sides of your braid are even. 2. Pull all your hair to one side so the braid goes over your shoulder and not down your back. 3. Divide hair into two even sections. 4. Pull a small piece of hair from the back of the left section (near the nape of your neck) and pull the strand out towards the left. 5. Cross the hair over the section it was pulled from and add it to the opposite large section, you should only have two large sections of hair in each hand again like when you began. 6. Now repeat steps 4 & 5 on the right hand section of hair. 7. Continue to repeat steps 4 though 6, making sure not to pull too tightly or let hair slip out of the braid as you go. Adjust or pull at sections as you go if braid becomes too tight. 8. 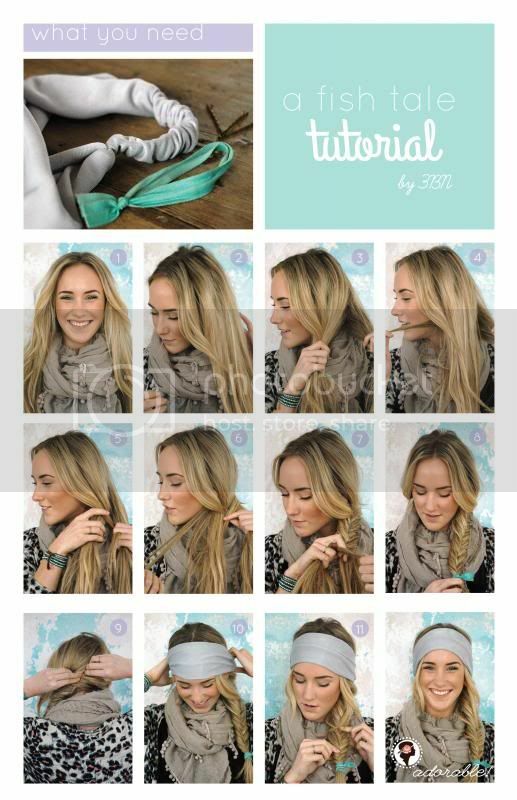 Secure braid at the end with a hair tie. 9. Pin back any stray pieces. 10. Slip on your favorite headwrap. This looks cute and and keeps looser pieces in place. 11. Tug at either side of the braid to make it wider. This makes your fishtail easier to see. What is your go to hair style when your hair doesn't do what you want it to? Leave us a comment below.